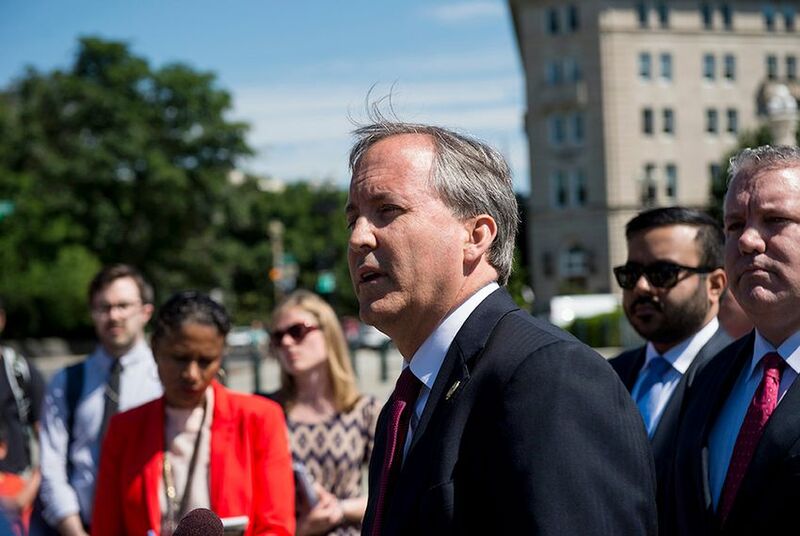 Texas Attorney General Ken Paxton on Wednesday asked a federal judge in Wichita Falls to put a nationwide halt on the Obama Administration’s directive instructing school districts across the country not to discriminate against transgender students. Plunging further into the politics of public school bathrooms, Texas Attorney General Ken Paxton on Wednesday expanded his federal lawsuit against an Obama Administration directive instructing schools not to discriminate against transgender students, saying he wants a nationwide injunction stopping the policy and wants it quickly. Because a federal judge’s decision to halt President Obama’s executive action on immigration was applied nationwide, Paxton suggested that a different federal judge in Wichita Falls has the authority to issue a similar order regarding the transgender policy. The updated request for preliminary injunction against the new rules is the latest in Texas’ fight against the federal government over the transgender-inclusive policy. Zeroing in on a requirement to allow transgender students to use the bathroom that corresponds with their gender identity, Texas, joined by 10 other states, filed a federal lawsuit in March to stop Obama’s directive. In the filing, Paxton’s office wrote a nationwide injunction is necessary because the new rules apply to all public school districts and not just those suing the federal government. The other states in the lawsuit are Alabama, Arizona, Georgia, Louisiana, Maine, Oklahoma, Tennessee, Utah, West Virginia and Wisconsin.